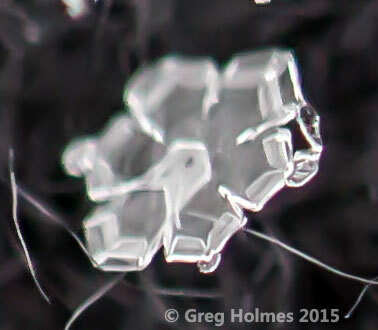 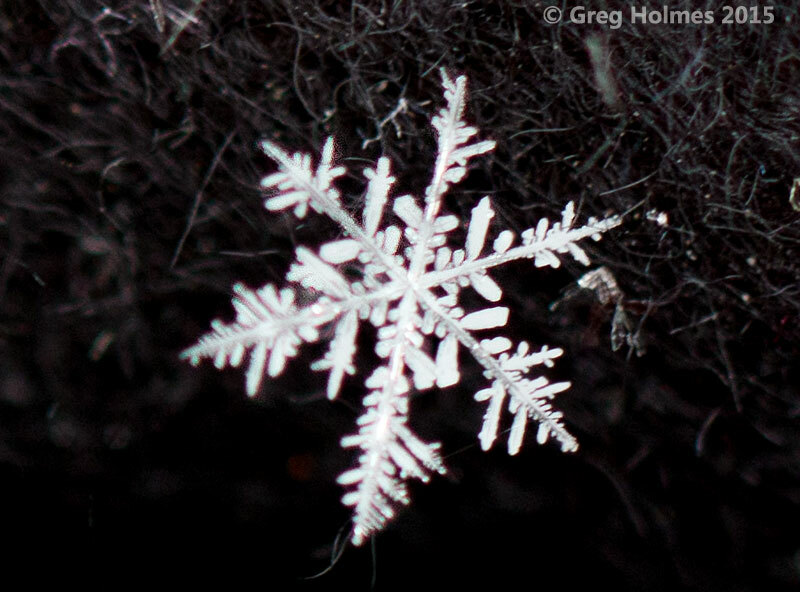 The beads of ice on the flakes above and below are called rime. 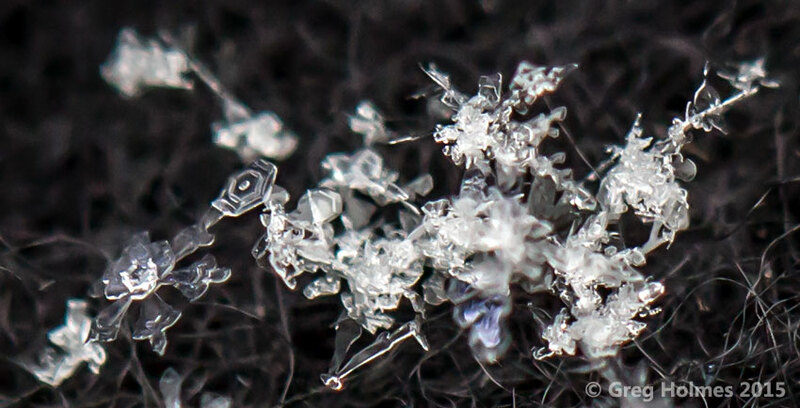 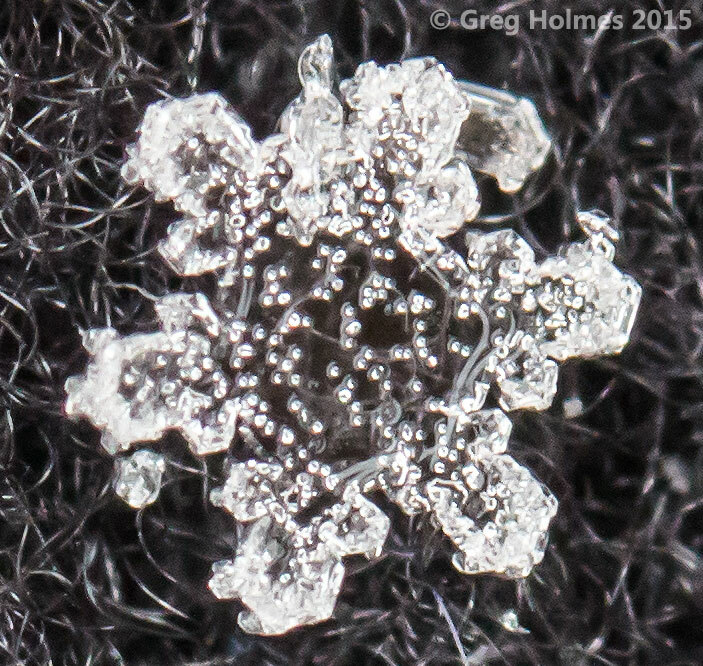 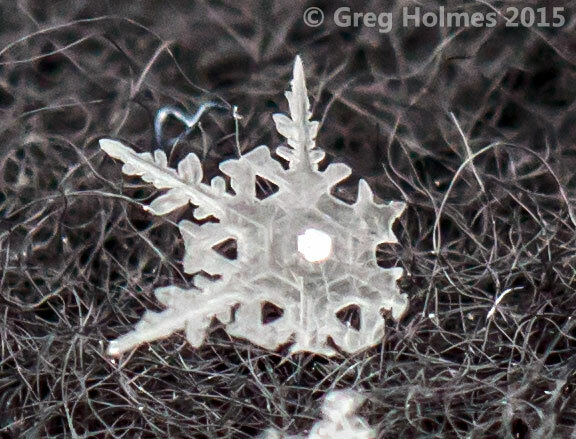 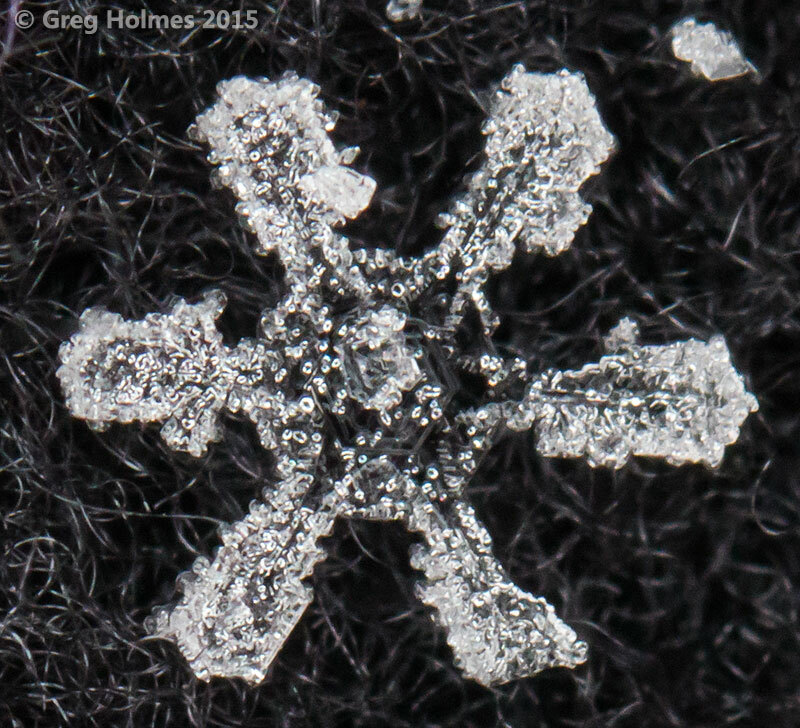 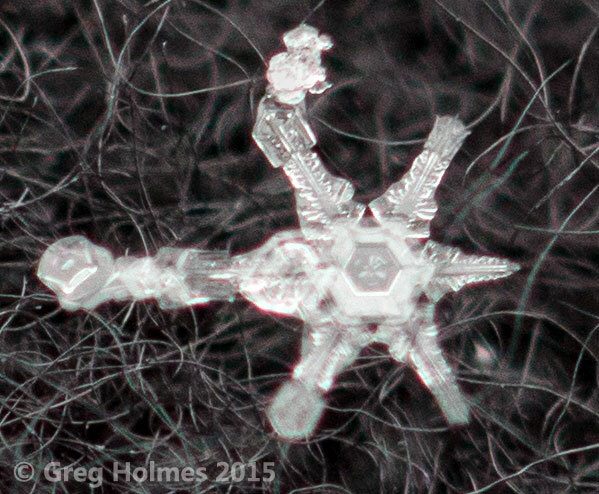 This happens when snowflakes collide with tiny water droplets as they fall. 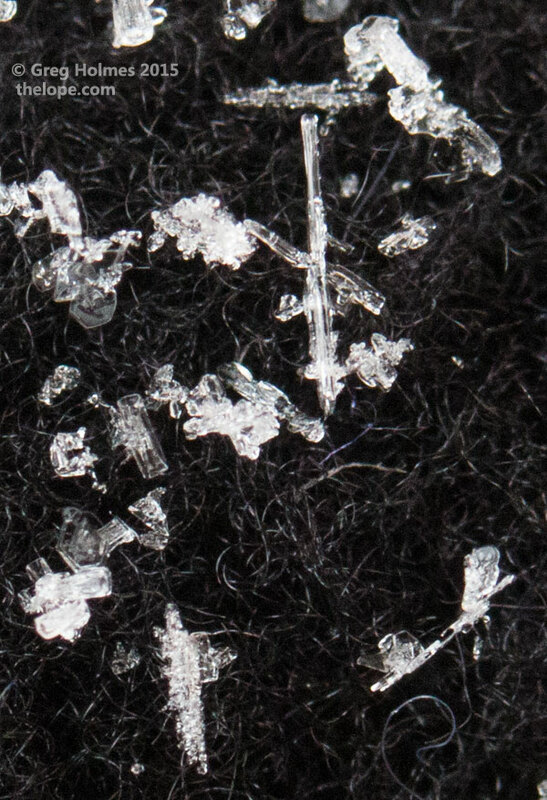 This is a clump of snow.